Suomenlinna sea fortress is not on the first place by accident. It is THE place to visit. It’s a sea fortress built on an island in 1748 and it’s a place which both tourists and locals love to visit. 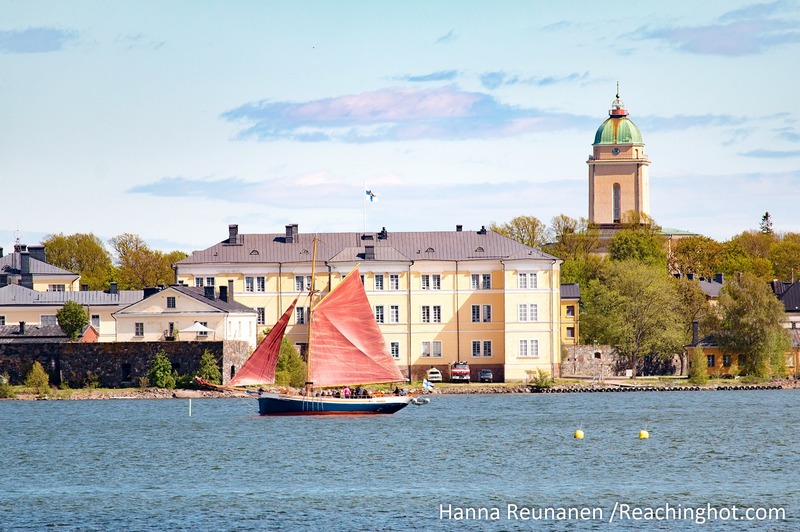 If you want to do Suomenlinna as a local, grab your picnic basket and some refreshing beer or wine bottles with you. Don’t forget to take some strawberries – my own absolute must! Allas Sea Pool is a unique experience to have right in the heart of Helsinki! It consists of 3 swimming pools which float above the sea! There is one normal pool, one sea pool and one pool for kids. Inside you can indulge yourself with some sauna. Allas Sea Pool also has a café with an amazing view! Next to Allas Sea Pool there is Skywheel which is the “London Eye” of Helsinki. Easy if you wish to combine these two activities together. They are located next to Kauppatori market so you can get there just by walking. Allas Sea Pool and Skywheel are right next to each other. Löyly is must-experience! It’s a very popular spot to go to among locals especially in the summer. Basically Löyly consists of sauna and a fine restaurant. It’s located next to the sea so you can dip yourself in the sea if the sauna gets too hot for you. If you don’t dare to swim you can just go outside to sit for a while and cool down. Löyly also has a beautiful terrace with a spectacular view so don’t miss it! Löyly is located in Hernesaari which is within walking distance from the city center but the walk takes about 30 minutes. You can also get there by bus 14 and you can take it from the Kamppi station. Löyly is THE place for locals and visitors to enjoy sauna with a view! The most beautiful swimming hall in Helsinki (and possibly in Finland) is located in Yrjönkatu. It was built in 1928 and is a real hidden gem in Helsinki. Even all the locals don’t know the existence of this wonderful swimming hall. If you want to enjoy swimming and sauna bathing go and explore this old swimming hall. This swimming hall is easy to reach since it’s right in the centre of Helsinki. Address for the swimming hall is Yrjönkatu 21b, 00120 Helsinki and it costs 5,50 € for adults. Mattolaituri is one of many sea side terrace bars of Helsinki. It’s not the newest and shiniest but it’s one of the most iconic spots to kick back and look at different boats float past while sipping on a refreshing drink. Next to the bar is a jetty for cleaning carpets which in Finnish is called Mattolaituri. Just behind Mattolaituri is Ullanlinna park. It’s the park that explodes with Finns every May Day. On other days though, it’s a quiet spot to lie down and chill. Relax with the boats floating by the docks of Helsinki. Linnanmäki is the amusement park just off the immediate centre of Helsinki. Entrance is free of charge so don’t hesitate to visit! In Linnanmäki you can buy single tickets for the rides or a whole day ticket. If you are not fond of crazy rides then make sure to at least get on the Panorama sightseeing tower. It’s a lift that takes you up in the air and you will have a perfect view over the entire Helsinki. And it’s FREE of charge! Itis is the paradise for all the shopaholics! It’s the biggest shopping centre of the Nordic countries. It consists of 150 shops and 20 restaurants. The shops are mostly affordable ones so if you’re looking for Gucci and the likes, stick to the city centre’s Kluuvi district. Itis is located 25 minutes from the centre of Helsinki. The absolutely best and easiest to get there is by subway! One way ticket is 2,90 € if you buy it from the machine and the ticket is valid for 1 hour. Stop at Itäkeskus and you’ve basically arrived to Itis when you exit the station. Seurasaari is a beautiful island that is full of nature and with good luck flying squirrels. There is also a beautiful feeling of history since there are houses preserved from the 17th-19th century. You can either book a guided tour around the island or just wander by yourself. There isn’t any entrance fee so it is wonderful peaceful place to visit in the capital. Nature is always close in Helsinki! Tuomiokirkko church is the main sight of Helsinki! It’s not only the place for tourists to take photos but also locals love to have a small picnic there on the stairs. Buy strawberries from the Kauppatori market and head towards the big white building. This is my personal tradition and absolute favourite! I go there several times every summer! The landmark of Finland’s capital city – Helsinki Cathedral. Spot the people sitting on the stairs! Traditional must-have ice cream on the stairs of the Helsinki Cathedral. Tervasaari is a hidden gem in Helsinki as it is a bit off the main attractions. It’s another small island with a tiny beach and swimming area. There’s also a restaurant but I highly suggest doing a picnic here, too! Tervasaari island hosts a great 360 degree view Helsinki centre’s eastern sea front. If you look carefully, you can even see the bonus tip below! Ihana Kahvila, literally Wonderful Café can be troublesome to get to. It’s hidden behind an industrial area and it seems like an eternity to walk there but the prize is worth the trouble. This little café is at the edge of Sompasaari and is actually inside a construction container surrounded by hammocks, bean bags and of course regular chairs and tables. It won’t be around for long as new construction sites will force it to close down. So go now before it’s too late! Combine two wonderful cities and read my tips to the capital city of Estonia, Tallinn! How I wish I had read your blog before visiting Helsinki ! There was so much more to do than we actually experienced. Loved Suomenlinna and the history behind it, it actually is THE place to visit. I’m really glad you enjoyed my article! 😊 Suomenlinna is a beautiful island and very popular place to visit among locals too! Beautiful material and photos! Thank you! Thank you for your kind comment! 🙂 I’m really glad you enjoyed reading my article! Ohh those islands seem so pretty! How is the weather there in September ? The islands are so lovely in Southern Finland! 🙂 The weather is usually good in September. It depends on the year though if it starts raining already in September but last year it was quite nice weather.